This week T’Challa heads into space, and The Flash War begins in The Flash #47! Marvel’s “Fresh Start” initiative is designed to give new and unique jumping on points for their stable of characters, and nowhere is that more apparent than with Black Panther #1. While this new number one still has writer Ta-Nehisi Coates onboard, it boasts a new artist in Daniel Acuna, and a brand new location: space. Yes, the Warrior King T’Challa has found himself in space, but he has no memory of who he is. All he knows is that there is a mysterious Intergalactic Empire after Vibranium, and he’s one of the few people who can stop them. 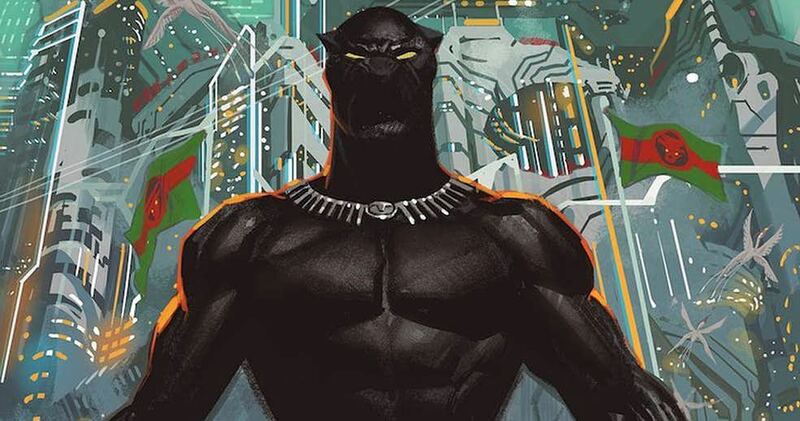 This is certainly a brand new take on Black Panther, and yeah, it’s definitely interesting, but as someone who’s been reading Black Panther since the start of Coates’ run, it’s extremely disorienting. Unlike the other books in this new Marvel line, Black Panther reads almost like it’s designed too much for new readers. There’s no narrative connection to Coates’ previous run at all just yet, and the new location, while interesting, is very, very strange. That being said, Coates has come a very long way from his first few issues of Black Panther. While that run started off with Coates finding his rhythm as a comic book writer, this new #1 finds Coates with a few issues under his belt, and his pacing is leaps and bounds better than it once was. Weirdly enough, freeing T’Challa from the politics of Wakanda has given this book a new lease on life. While I enjoyed Coates’ take on the political side of the character, it was starting to overshadow the action sequences, of which there are plenty here. Daniel Acuna’s style has always been pretty hit or miss for me, but thankfully he’s in the “hit” column with this issue. While he doesn’t get the chance to show off a ton of crazy alien designs, the ones he does showcase here are really cool, and he even has a flair for action sequences that I’ve never seen before this issue. 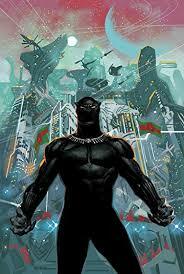 Acuna wouldn’t have been my first choice for a space-set Black Panther series, but it’s definitely working for me. While placing T’Challa in space is certainly a weird move, there’s enough in this issue to keep me coming back to find out just how he ended up there in the first place. Black Panther #1 is certainly the weirdest of the Marvel “Fresh Start” ‘s that I’ve read, and it may not work out, but at the very least Coates and Acuna are trying something really new for Black Panther that I’ve never seen before. 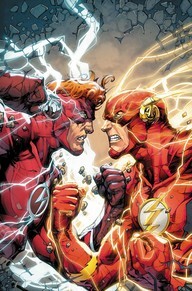 Not content with letting Superman and Batman have the big storylines this summer, The Flash is starting up the “Flash War” storyline with The Flash #47. The seeds for this storyline go all the way back to the DC Rebirth special, with the newly returned Wally West being the main catalyst for this storyline. And while it’s definitely still a little confusing having the old Wally West AND the new one in the same universe, writer Joshua Williamson and artist Howard Porter deliver a really fun opening issue for this storyline. While Wally West has been trying to make the best of his new lease on life, he’s been suffering from massive brain attacks (or “temporal shifts”) due to his return to the DC universe. And as much as Barry Allen tries, he can’t get Wally to really slow down and relax into his new life so that they can get to the bottom of Wally’s attacks. While the two have been working together to help people, there’s an edge to their relationship that’s causing a lot of friction between the two of them. When the Renegades from the 25th Century arrive to make Wally stand trial for his crimes against the time stream, the two have to put aside their differences and try to make it out alive. Simply put, this issue is a lot of fun. While there’s a lot of tension in the script due to Wally and Barry’s relationship, it doesn’t bog down the issue with melodrama. Joshua Williamson walks a very fine line between making this issue entertaining and dramatic, and it works really well. The 25th Century Renegades are a blast, and there’s plenty of cool surprises with their roster as well. Really the only negative about this issue is that there’s not a lot of explanation of some of the plot points about Wally’s return and how it all fits in with the overall DC Rebirth narrative. Howard Porter is an unsung legend in the DC ranks, and this issue is a great example of his subtle strengths as a penciller. From dynamic action sequences to dramatic person to person arguments, Porter can do it all. Porter is a rock solid artist that can be counted on to deliver dependable pencil work that will always fit with the book that he’s working on, and this issue is no exception. If you’ve only been keeping up with the overarching DC Rebirth narrative, there may not be enough in the Flash War storyline to warrant a purchase. But if you’re looking for a fun storyline that feels like the ones that the Flash show used to do, then Flash #47 is the book for you. I was pleasantly surprised with how much fun this issue was, and it also serves as a great example for what makes The Flash such a unique hero.